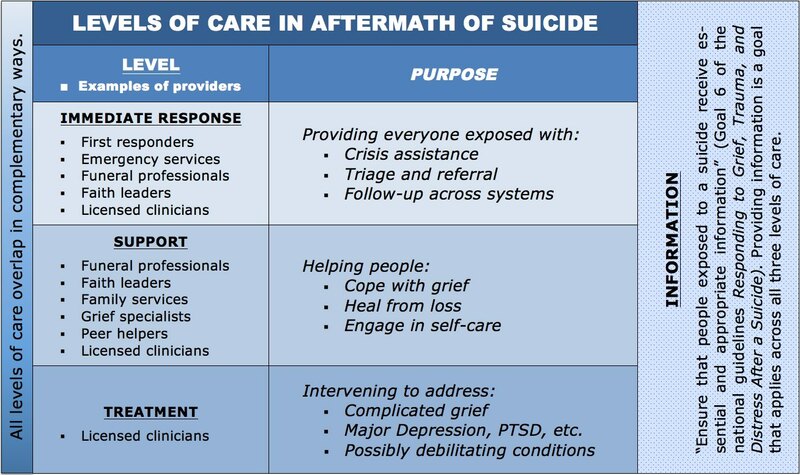 ... to provide, for the first time, a foundation to help move the nation toward decisively addressing the needs of the bereaved and others exposed to suicide. 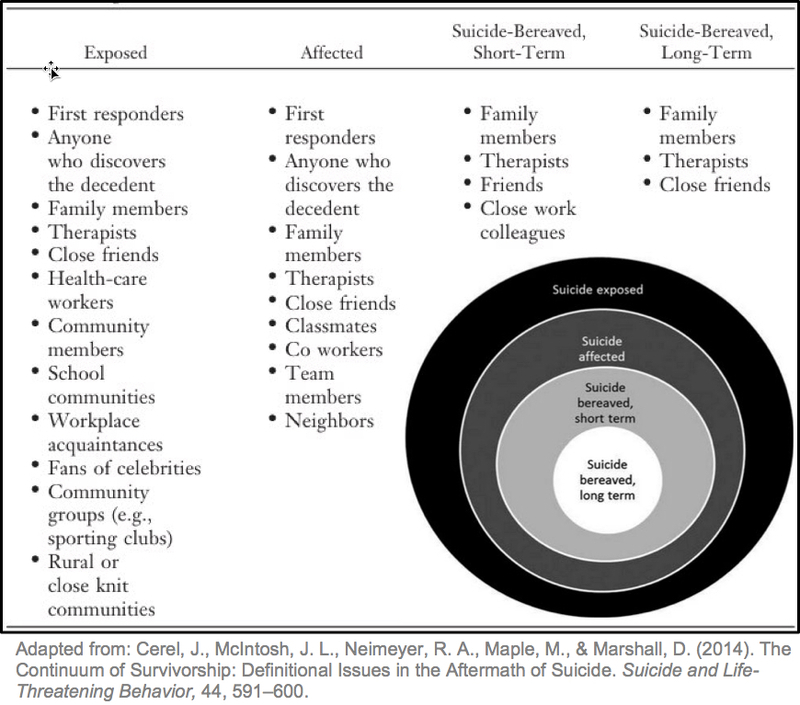 The members of the Survivors of Suicide Loss Task Force see these guidelines as a summons to everyone with a stake in suicide postvention -- individuals, organizations, communities, states and tribes, and the U.S. society as a whole -- to ensure that every person suffering profound grief or struggling with distress after a suicide receives the compassionate outreach and healing support and services they need to live healthy and fruitful lives. This groundbreaking document delivers information, ideas, and recommendations to set the stage for purposeful action toward accomplishing that goal. 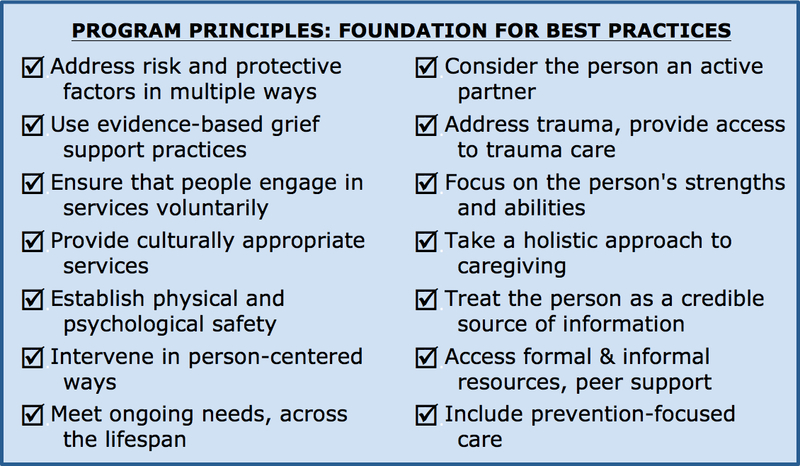 The key elements of the guidelines' strategic foundation for change at all levels of society are outlined below, along with links for each topic to a post from the Grief After Suicide blog and to a special report from Franklin Cook of Unified Community Solutions (note the links to informational graphics that accompany the topics).Please also see the blog post that summarizes all of the topics, "Groundbreaking Guidelines Address Grief, Trauma, Distress of Suicide Loss" (bit.ly/guidelinesaddress). Includes an appendix outlining numerous, practical resources for the suicide bereaved and those who care for them. 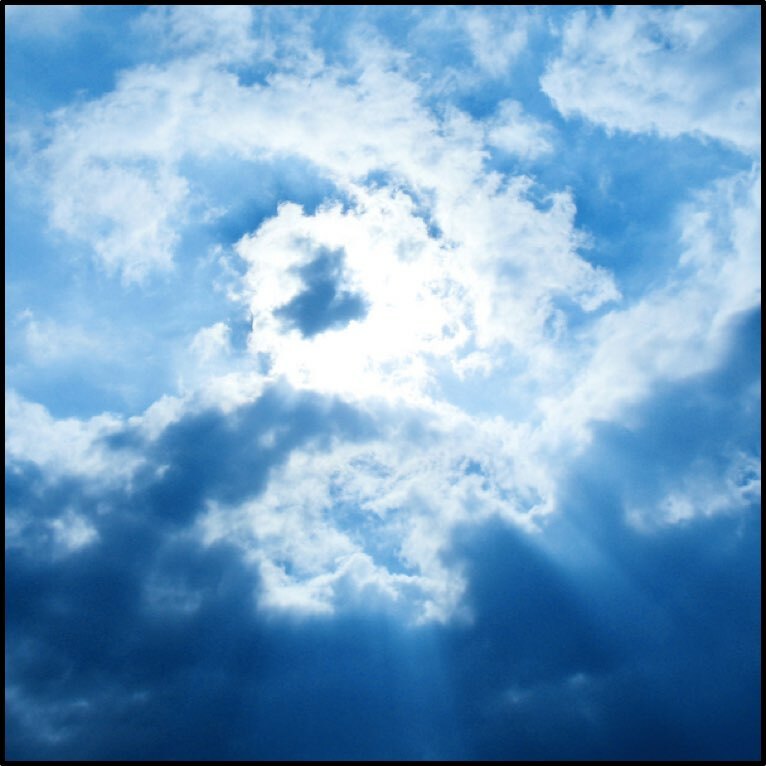 This website, the After a Suicide Resource Directory, is the online version of the appendix--and will be continually expanded and updated.